Chickenpox is a viral infection caused by the Varicella-Zoster virus. This infection is highly contagious. An itchy rash on the skin is the most common symptom of the infection, which is characterized by red blisters throughout the body. Most of the time, the symptoms will subside in 14 days. Even so, it can be very uncomfortable. For easing the discomfort, below are some natural remedies for chickenpox that you can try. Using baking soda to treat chickenpox helps in restoring the skin’s pH levels. This helps to ease the itching. Mix half a teaspoon of baking soda with a glass of water. Give the patient a sponge bath using this mixture and leave the mixture on the skin for a while. Repeat this procedure on a regular basis. Neem leaves or Indian lilac is a well-known antiviral. It helps to fight the virus and also ease the itching. Neem is also a fantastic herb because of its anti-inflammatory benefits. Hang Neem fronds around the patient’s bed or fan the patient using these fronds. You can add Neem leaves into the patient’s bathing water too. You could also crush the leaves and mix with a bit of water to create a paste. Apply this paste on the patient’s skin. Allow the mixture to stay on the skin for five minutes and then rinse it off. Honey has been used over the years for its healing properties. It is known to be a great anti-inflammatory and antiviral product. Honey kills the virus that causes chickenpox, and this stops the redness, itching and the pain. 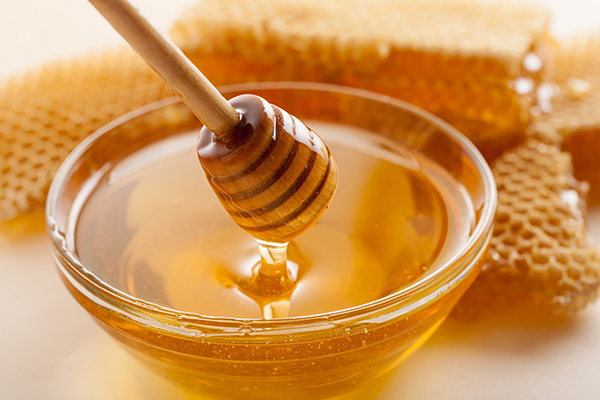 When you apply honey regularly, it will prevent scars that occur on the skin after a bout of chickenpox. Apply the honey on the affected areas and leave it on for at least half an hour. Rinse with water. You can do this up to 4 times every day. Coriander and carrots are vegetables rich in vitamin A and C that are essential for strengthening the immune system. These two can be incorporated in soups for the patient. Boil the coriander and carrots in water. Allow them to simmer on low heat for fifteen minutes. Strain and give the patient the soup. This should be drunk for one month, at least once each day. The patient can also eat the boiled coriander and carrots. Oatmeal is considered one of the most effective home remedies for chickenpox due to its antiviral and anti-inflammatory properties. It helps to ease the pain as it works to kill the virus that causes chickenpox. It is also ideal if you want to prevent post-infection scarring. Take two cups of oatmeal and grind them into a fine powder. Mix with 2 liters of water and allow it to sit for fifteen minutes. Pour the oatmeal into a cloth bag and ensure you tie it tightly. Place the cloth bag into bathing water and allow them to mix until the bathwater turns milky. Soak the patient in this bath for 20 minutes. You can add natural oils such as lavender oil or clove oil to the bath for better results. This is a product that contains acetic acid. This acid is known to kill the chickenpox causing virus. It’s also perfect for drying out blisters, which helps to ease the itching and pain. 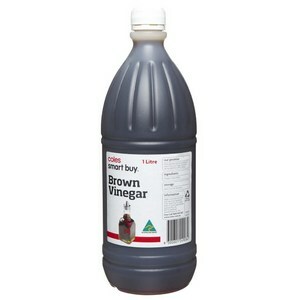 Mix a cup of vinegar into a lukewarm bath. Allow them to mix well and soak the patient for fifteen minutes. This goes a long way in preventing scars. This therapy requires the patient to apply marigold oil (calendula) or gum weed in liquid form to the areas affected by the chickenpox. This speeds up the healing process and also helps to clear the rush. A homeopathic doctor can also prescribe medication to go with this treatment. These medications can either be sulphur or rhus tox. There are a few essential oils that are known to have anti-fungal as well as anti-viral properties. They also have healing properties, which can help to relieve the itching as well as blistering caused by chickenpox. You can mix essential oils with other products to come up with an anti-itch cream. 1 tsp. fine sea salt, 1tsp. baking soda, 2 tsp. bentonite clay, 1 tbsp. witch hazel, 5 drops of peppermint oil, 5 drops of lavender oil, 3 drops of ravensara oil, 2 drops tea-tree oil, 2 drops clove oil, 2 drops naouli oil and 1 drop of rosemary oil. Blend all these ingredients together and apply the mixture on the affected skin areas. 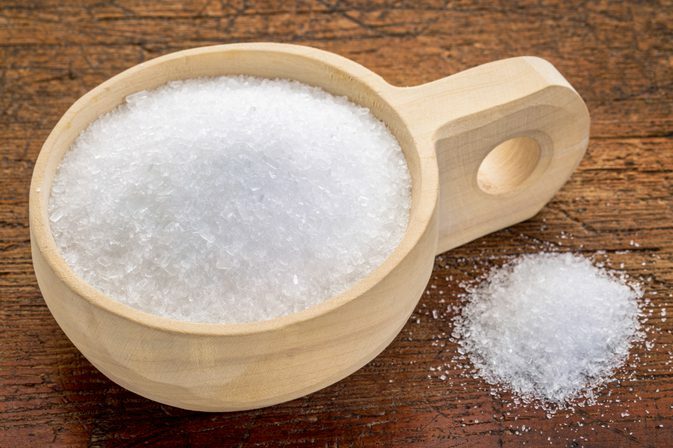 Despite its name, Epsom salt is not a salt but a mineral compound. It comprises of sulfate and magnesium. These two are very effective for relieving pain and itchiness. Add 2 cups of Epsom salt into your bath water. Soak inside this water for 15 minutes or more. Use a towel to pat yourself dry while making sure you don’t cause irritation to the blistered skin. You can soak in Epsom water daily until the chicken pox is cured. This is a common remedy used in Thailand as a treatment for chickenpox. You can get these flowers from any herbal meds or tea store. You can choose to either drink the jasmine tea or use it externally on your skin. For tea, mix the leaves with hot water and drink. Alternatively, you can mix a handful of jasmine leaves into your bathwater. Ginger is used for its healing properties. It will help to ease the itching, which in turn controls the blistering. You can choose to drink the ginger tea or use raw ground ginger in your bath. For tea, use half a teaspoon of ginger in your tea and drink. For bathing, mix a quarter cup ginger powder to a half cup of water. Pour this mixture into your bath water and soak in it for half an hour or more. 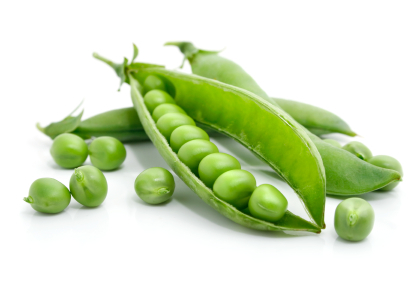 Not only are they delicious vegetables, green peas are also one great home remedy for chickenpox. They help to get rid of the itching. Boil 200g of green peas in water until soft. Drain the water and set aside. Blend the peas into a paste and apply it on the affected skin. Let it stay for an hour or more before washing it off. The boiling water that was strained from the boiling pot can be used to sponge bath the patient’s skin. It helps to get rid of the scars left from the bruises. 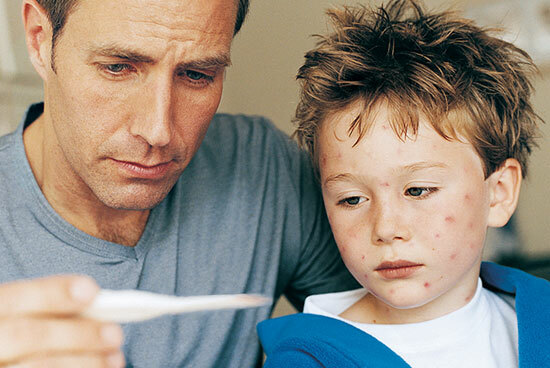 It is advisable to seek medical help if the recommended home remedies for chickenpox fail. Seek help if you develop complications like bacterial skin infection, dehydration, brain swelling or encephalitis. Fever which lasts for more than 4 days and is 102 degrees Fahrenheit or higher. Breathing complications or severe coughing. Rushes on the skin that leak pus, are red, sore and warm. Drowsiness, confusion and difficulty waking up. Stiff neck or difficulty in walking.